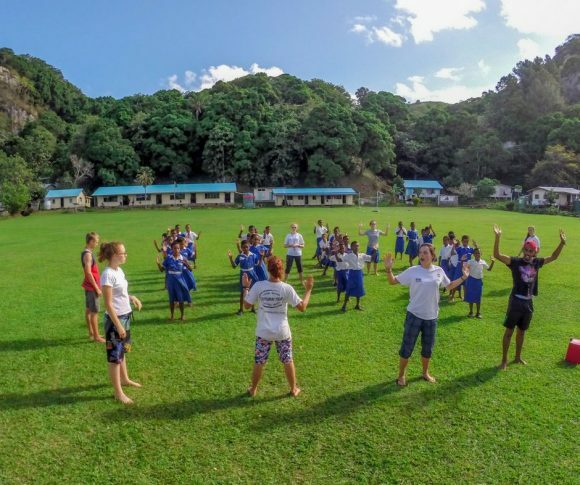 Thinking about a gap year to Fiji? Great idea, you’ve taken the first step on an amazing experience you’ll never forget. 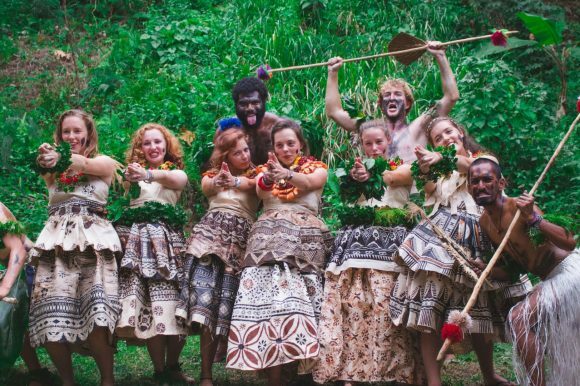 You may not believe it yet, but a gap year in Fiji with Think Pacific is going to bring more memories, friends and new experiences than you could ever imagine. 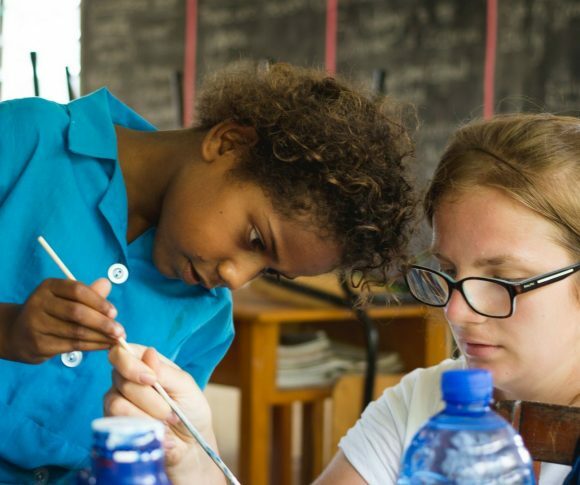 We see the same impact time and again; gap year students head out to Fiji with nervous excitement and return inspired, brimming with confidence and bursting with pride at their achievements. Our programs are in partnership with the Fijian Government to ensure our volunteering is sustainable, structured and part of a bigger picture. If you’re planning a gap year to learn, grow, give back and make new friends via a real and true experience, then step this way for a once in a lifetime adventure! Think Pacific could be exactly what you’ve been searching for. Frankie was working in London and wanted to volunteer abroad and do something useful whilst having an adventure. Her friend told her to look into Fiji and she stumbled across Think Pacific. 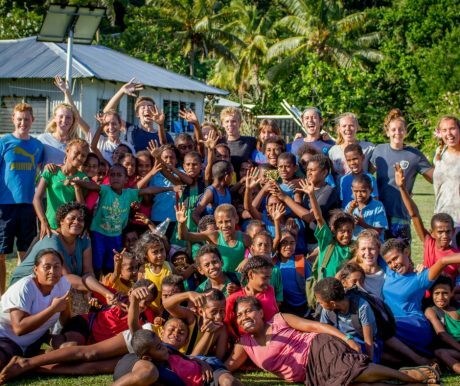 Our own gap years to Fiji quite simply changed our lives. We’ve been exploring this remote island paradise ever since. You could say we’re the Pacific professionals, the specialists of the South Seas, the connoisseurs of castaway island life! We first went to Fiji with a big international gap year organisation. Something didn’t quite sit right and when the time came to launch Think Pacific, we knew the ethos and culture we wanted to create – Small, personal, supportive, focused only upon Fiji and hugely beneficial for Fiji. Think Pacific is a gap year program that was created by gap year volunteers – the program we wish we could have done at 19. It has all our expertise, passion and knowledge, and we believe it’s the best project in Fiji, if not the world. Which Fiji Program Could Be For You? Our most popular project. 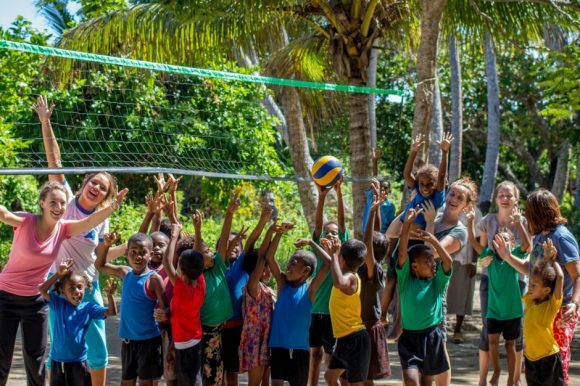 Take a month of your gap year travels to volunteer and make a difference in Fiji. The is a huge expedition! Throw yourself into Fijian life and see how much we achieve and experience. 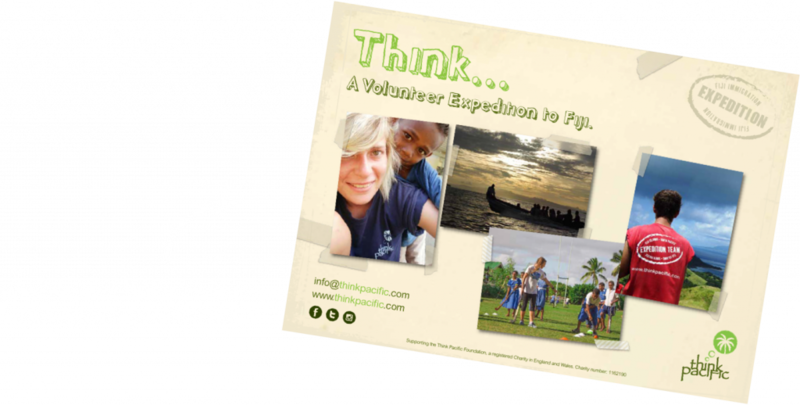 Make our project to Fiji the centrepiece of your gap year as you join our most challenging and rewarding expedition. This means deeper connections, bigger rewards and true immersion into Fijian culture. What Could You Achieve on a Gap Year With Think Pacific? Make a real difference by supporting children living in the poorest island villages. Leave your comfort zone and throw yourself into “back-to-basics” island experience. Develop greater global awareness and learn about a unique culture and way of life. Gain hands on experience and transfer your studies as you teach, mentor or coach. Develop teamwork, leadership and communication skills and build experience. Create memories and friendships that will last a life time. The day we had to leave the village and say goodbye was one of the hardest moments of my life. Fiji has changed me as a person, but in a way I would not have imagined last September. My message to anyone considering this is to put your soul into it. Say “yes” to things you never would have considered and see where those new experiences take you. You never know where you’ll end up at the friends you will make. How Could You Make A Difference? Provide numeracy & literacy teaching assistance in a primary school. Deliver daily sports coaching sessions in a remote primary school. 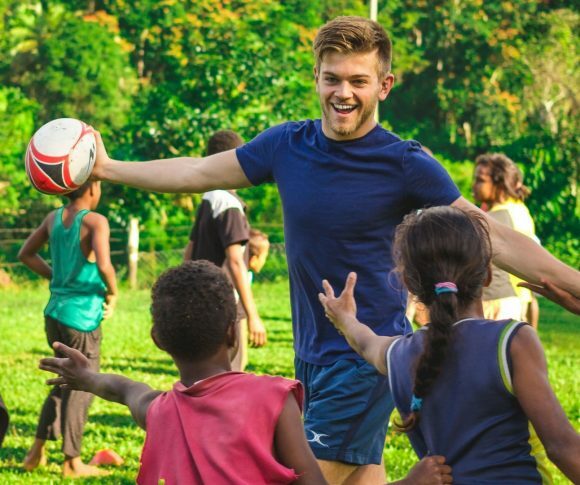 Play, coach and organise Rugby with primary school children & villagers. Delivery daily youth activities through our ‘House Cup’ competition. 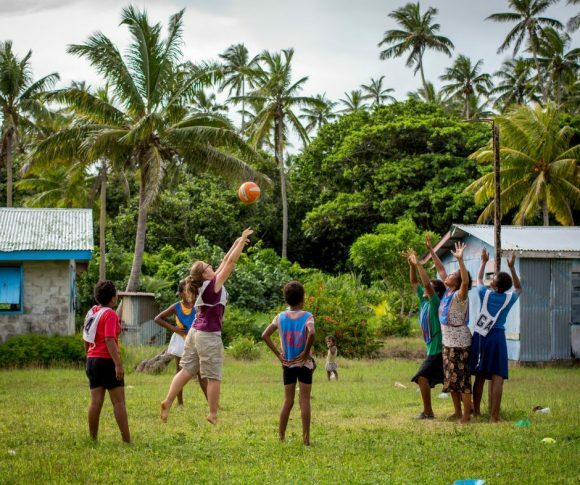 Play, coach and organise Netball with primary school children & villagers. Prepare and deliver daily sessions as we implement early years education. Fancy Some Help to Plan Your Gap Year? We only do team expeditions. Join a team of up to 20 like-minded gap year students and instantly become part of a new group of friends as you share something special together. The bonds you make will last a life-time. Volunteering on your gap year is one of the most purposeful and rewarding things you can do. Our expeditions are partnered with the Fijian Government which means you are supporting national aims and objectives. Our gap year programs are certainly no holiday. It’s a real challenge. It’s been said that life begins at the edge our comfort zone. You’ll come home with more confidence, new leadership skills and a greater global understanding. Trek jungle rainforests, visit remote waterfalls, snorkel the reefs or set sail for the outer islands. You’ll live in traditional villages and get to grips with island life. If you’re looking for a real adventure on your gap year, Fiji is waiting to be explored. Our expeditions are guided with 24/7 care and dedication. Fiji is all we know and love. From our experienced leaders who guide your project each day to our management team in Fiji and the UK, you’ll receive unrivalled support. 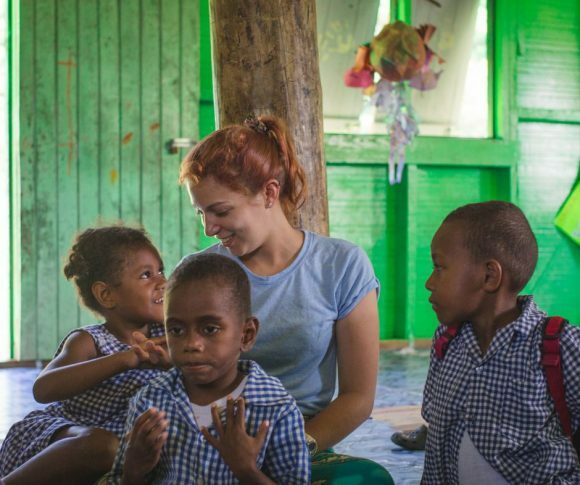 So many of our gap year volunteers state their experiences in Fiji are ‘life changing’ and they meet people they’ll stay in touch with forever. You’ll broaden your horizons and forever be proud that you accomplished something so unique. Think Pacific Foundation, 35 Gorrie Street, Suva, Fiji Islands, (Fijian Charitable Trust) FJ989. Just pop in your email address and we’ll send you a small slice of Fiji straight to your inbox! Leave your phone number and we'll give you a call in your preferred time frame. We're excited that you want to sign up for this challenge. Please leave your details below so that we can get in touch! Please complete your Pre Departure Form so that we have all your essential travel details, personal details & personal interests. It's really important we have all this info. As you know, we pride ourselves on high quality support. This form means we can support to you as best we can whilst maximising you and your team's impact on project. *If no medical conditions or dietary requirements - please state 'none'. If Yes, Please State Any Medical Conditions? Please State Any Medications You'll Be Bringing With You?